The first big local TT and Sportive rides of the season are already behind us. Last weekend saw riders queuing up to make their paired dash down the Sheff Rec 25 mile two-up TT course. On Sunday hundreds of riders braved the cold for the inaugural 65 Roses, Team Cystic Fibrosis Spring Classic and pedalled their hearts out over 60 miles across the highways and byways. So we think it's fair to say that the new season is here. You might not agree if looking out of your window today, but trust us; we know the new season is here because our warehouse is getting fuller by the day with brand new 2015 products that will set your world alight. If you have a season planned out full of long rides with mates and a couple of challenging sportive rides on the cards then we've got everything you need. First up is our amazing value for money SRAM Rival 22 RT-58 bike. It's a full carbon frameset built with around a sportive geometry with a shorter top tube and raised front end and it's well known as a comfortable mile-eater. This latest build offers amazing value for money and brings the price down to just £899.99. There's nothing available at anywhere near this price from other makes with the same spec or with the same reputation for riders who clock up monster miles. If you're looking to take in big mileage then you're going to be spending a lot of time on the bike and we strongly recommend that you spend some time and effort sorting out your contact points. Get your bars, saddle and shoes right and it'll repay you with more efficient comfortable cycling. 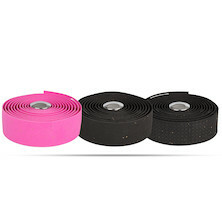 The right combination of bar and bar tape will help to soften the road vibration that you feel in your hands. Sort out the angle of your bars and shifters and you'll be sure to enjoy your time on the bike more than you thought possible. Saddle shape is an issue that divides cyclists, quite literally. We've got a huge range of saddles in stock and for sportive rides we strongly recommend our Planet X Superlight Team saddle with the optional titanium rail. The Superlight team mixes classic saddle shaping with gel contact points and a pressure relieving central channel cut out. Add in the controlled damping and weight saving provided by the titanium railed version and you have the perfect saddle for the longest rides. There's never been a better time to buy some new road shoes and that's because we've just launched an entirely new range of Planet X shoes. We have several models for the keen roady ranging from our 365 x composite soled road shoe, up to our class leading Planet X Team Carbon Vernice model. All of our shoes are sized a little wider across the mid-foot, this does mean that you'll need to order them one Euro size larger than you normally wear to get the same amount of space in the toe box as you are used to with other brands. Packed with advanced technology and design features from carbon soles to our Vernice Direct-Dial wire closure system and our novel Heel Anchor system you are sure to find the perfect shoe for your riding needs. As the weather still hasn't quite made its mind up yet you might want to snap up a few sets of our new 365 arm, leg and knee warmers. They'll help you manage your temperature and comfort levels, giving you the flexibility to peel off a layer whenever you need. If you want a bundle of outerwear accessories then our fluoro racepacks contain all that you'll need. We've crammed them full with a set of arm and leg warmers, a fleece skullcap to go under your helmet and a pair of our quality touch screen compatible 365 race gloves. It's the complete 3 season weather pack. For more competitive rider things are beginning to warm up just as much. 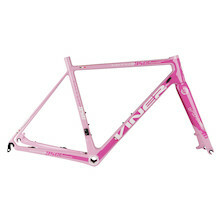 We've just had the first delivery of our new Viner Mitus 0.6 road race bikes come into stock. These bikes are already the bike of choice for UCI professional Team IDEA 2010 who are using them for their assault on the 2015 UCI European Tour. 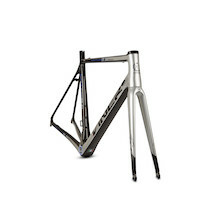 They high spec, lightweight monocoque frames tip the scales at a mere 900 grams and are also available as a frameset only choice with matching Toray T800 carbon fibre fork. If you want an unfair advantage at races this season, look no further, these bikes and frames are already proven on the UCI race circuit. What more could you want? If you're a speed demon looking to smash your PB's out on the time trial courses this year then you're bound to be familiar with our huge range of deep section carbon TT and triathlon wheels. Most cyclists know us for bringing fair priced carbon wheels to the masses and we've revised our product line up for 2015 to include some amazing new products that will help you power your way to some new PB's this season. Our 60/90 wheelset offers the perfect blends of wind-cheating performance for riders who don't want to go all out for our 82/101 wheelset. The 60/90 use a new improved wheel profile that sets up better with wider tyres to help you maximize your gains and comfort from stepping up to a 23mm or 25mm tubular. If you want to grab a slice of the advantages of an aero wheel but don't feel comfortable riding such deep section wheels as these then we still have you covered. Our CT45 carbon wheels are also designed to work with the new and improved breed of wider tubulars and we've been enjoying them in training with 25mm tubs soaking up the worst that poor road surfaces have thrown at us. If you are chasing marginal gains then check out our range of overshoes from Carnac. Their lycra race overshoes will help you shed that unwanted drag to recover those wasted watts. Advances in helmet design have continued to yield small gains. Better aero, more efficient ventilation and improved line of sight in a tucked position have all helped riders to improve their performance. We have a huge range of helmets on offer to suit all pocketbooks and all types of riding. Choose from advanced road helmets from Cratoni and Uvex or our all out assault on TT glory in the shapes of Limar's Crono Speed Demon helmet. If you've been training hard all winter and putting the heavy miles in on you turbo trainer then there's a good chance you've worn out that chamois pad and are close to threadbare at the crotch- why do turbo trainers eat shorts so fast? Don't worry we've got a load of new bib shorts in stock that will suit all riders. New in for this season is our Team Cystic Fibrosis Bib Shorts and our Planet X Team Carnac women's shorts. For our sponsored teams only the best will do and these are manufactured for us in Italy by our favourite supplier. With wide thigh gripper panels, an asymmetric 13 panel cut and a stacked, open cell foam chamois insert they are ready to race. Treat yourself to a new jersey to finish off your new race ensemble and we'll see you out on the start line. 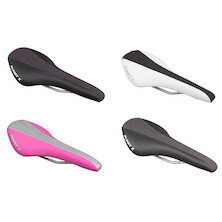 Our best selling road saddle by far- riders love this for it's day long riding comfort and incredible light weight. Chrome or light weight titanium rail options. Soft, durable cork gel tape. We often use this on our bike builds because of the high quality, classic, minimal aesthetics, and long lasting performance.